The start of a new year inevitably comes with speculation from avid food bloggers and industry experts on the latest innovations in nutrition and food. Every year, I review the January predictions and typically find myself lost in a sea of new fad diets,superfoods and must-have products. This year, I decided to reflect on the trends I’ve observed in the last several months and come up with my own list. You won’t find any gimmicks, health products or fad diets in my list. These are some of the trends I’ve seen and, more importantly, trends I believe have some merit and importance for our health and food industry. 1. Plant-based: The traditional North American meal starts with an animal-based protein, with vegetable and starch sides. Plant-based diets focus on making vegetables and legumes the focus of meals rather than meat. As a dietitian, I like the flexibility of a plant-based approach. A plant-based diet can include some meat in smaller quantities, but it can also fit a strict vegan diet, making it appropriate for almost any dietary preference or culture. Plant-based diets also put portion control into perspective, which supports overall health and reduces rick of chronic disease. Above and beyond our own personal health, choosing plant-based foods is more environmentally sustainable. 2. Basic cooking: Between the indulgent food trucks and sea of green matcha infused foods is a growing community taking things back to simple foods and traditional eating patterns. While over-the-top food television shows and elaborate food media are not going anywhere any time soon, the return to basics is certainly encouraging in a society where many people rarely cook at home. What I like about this approach is the emphasis on whole, minimally processed foods made using cooking techniques most people are familiar with. For myself, a dietitian most often cooking for one, keeping things simple is certainly one of my tips for success. 3. Gut health: It seems the more we learn about out gut microbiome, the more fascinated we become with it. While the emerging connections to our mental health and physical well being are interesting, they seem to spark more questions than answers among the scientific community. Everyone has a unique gut microbiome, influenced by our environment, genetics and, of course, the foods we eat. 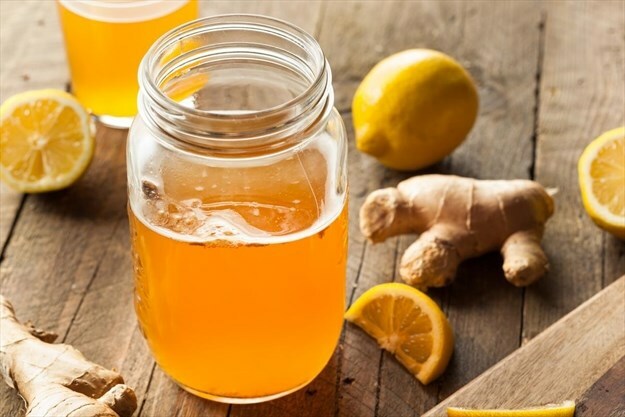 The biggest emphasis lately has been on probiotic foods, in particular fermented foods like kombucha (fermented tea) or kefir (a fermented dairy product). Gut health and gut-related products will certainly continue to be a focus throughout 2019. 4. Local/small batch : I think that for anyone with a strong interest in food, there’s a feeling of exclusivity that comes with opening a jar of something made in a very small batch. Buying local and small batch items, whether it’s meat from a local farmer, Ontario cheese from an independent store or a craft beer, simply feels good. Maybe it’s knowing it was made with care rather than in a big box factory or knowing we are supporting our local community and economy and a more sustainable food industry. While it isn’t necessarily feasible to purchase everything locally, I am excited to see how the Ontario food market changes with the growing demand for local food producers. 5. Reducing food waste: If you’ve ever worked in the restaurant, you know first hand just how much food gets thrown away. There are certainly lots of challenges from an industry perspective when it comes to trying to re-direct or minimize food waste. But with the increasing social consciousness to be more sustainable, people are becoming more vigilant when it comes to food waste at home. One of the biggest trends is meal planning, which makes every purchase purposeful and reduces excess food preparation. Another trend I’ve seen, is buying groceries for 2 to 3 days at a time. This tends to work well for people who like to cook fresh daily, and don’t mind making a few extra trips to the grocery store.